Version 2.0 of the official iOS app of the popular crowdfunding platform of the same name features universal support. As a result, the app, which was launched in February 2013 for iPhone and iPod touch, is now optimized for iPad as well. 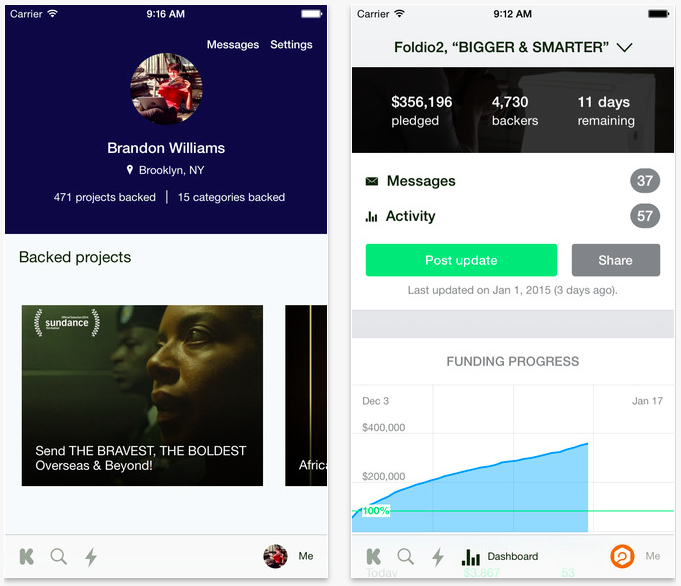 In addition to universal support, Kickstarter 2.0 introduces a brand new design that looks and feels right at home on iOS 8. The highlight of the new design is no doubt the new interface for discovering projects, which presents them in a scrollable carousel of cards that can be browsed by category and sorted by popularity, recency, and funding. 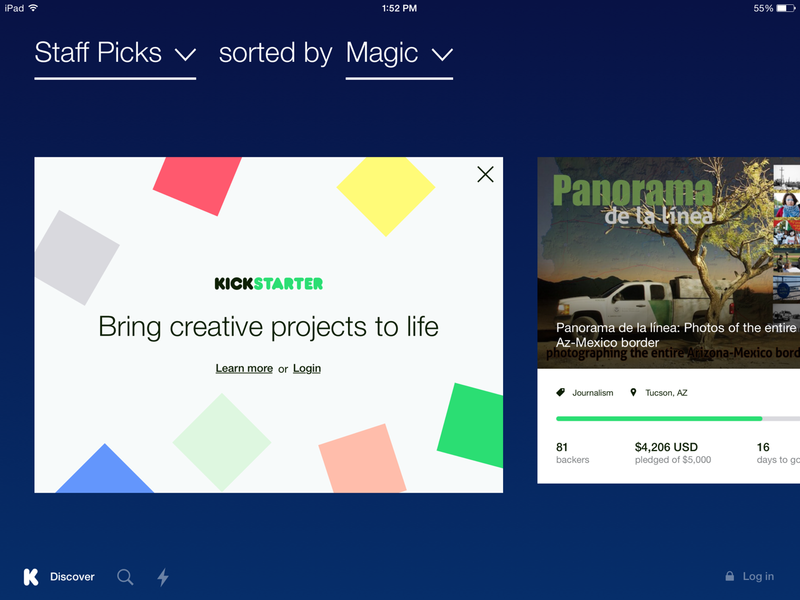 Of course, the updated app still includes a search function, an activity feed, and a dashboard for project creators. Kickstarter 2.0 also includes full resolution support for iPhone 6 and iPhone 6 Plus. Compatible with iPhone, iPod touch, and iPad running iOS 7.0 or later, Kickstarter is available now on the App Store for free. Although it comes nearly two years after the release of Kickstarter for iPhone, Kickstarter for iPad is nice to finally have. It’s particularly nice that it arrives with a welcome redesign, rather than being a mere blown-up version of its iPhone counterpart. Hopefully, with the newly universalized and redesigned app, more creative and innovative projects get discovered, backed, and funded on Kickstarter. For more notable app updates, see also: Powerful to-do app Things updated with an iOS 8 Notification Center widget, Parallels Access updated with new file manager, iPhone 6 support and more, and Acclaimed iPad drawing app iDraw gains iCloud Drive integration, Handoff support and more.